Legislation again will not be released by a House committee that would allow Delawareans to have wine shipped to their home. By not releasing the bill, House Bill 78 cannot be debated by the full chamber. 37 states and the District of Columbia allow their residents to order wine directly from the producer – and a new law approved by Maryland lawmakers will take effect next month. However Delaware is one of 12 states that force wine drinkers to go to the store which has gotten the wine from a state-licensed distributor, which has obtained the wine from the manufacturer. Special interest groups – like the Teamsters – have a stake in keeping the current system in place – others say changing to direct sales would lead to a loss of sales. For the third time in two years, a House committee has refused to release a bill seeking to allow Delawareans to have wine shipped directly to their homes. The action by members of the House Economic Development/Banking/Insurance/Commerce Committee prevents the legislation from being debated by the full chamber. “It’s a little frustrating that a bill that would allow Delawareans to enjoy what most Americans can already do is not even being allowed to be considered on the House floor,” said State Rep. Deborah Hudson (R-Fairthorne), the prime sponsor of House Bill 78. Thirty-seven states and the District of Columbia, which together account for about 85 percent of U.S. wine consumption, already allow their residents to order wine directly from producers. 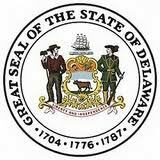 Maryland’s direct shipment law takes effect on July 1st, leaving Delaware as one of just 12 states barring the practice. Rep. Hudson said part of the problem is overcoming the special interests that have a stake in fighting any change in an archaic alcoholic distribution system that dates back to the Prohibition era. Created in the mid-1930s after the repeal of the 18th Amendment, Delaware’s three-tier system requires all alcohol sales to be channeled from the manufacturer through a small number of state-licensed alcoholic beverage distributors to retailers and then the public. The Teamsters have also repeatedly opposed direct shipment in Delaware. Speaking at the committee hearing on behalf of General Teamster Local 326, Michael S. Ciabattoni said his union represents over 200 drivers and mechanics at three major Delaware liquor distributors and approximately 350 United Parcel Service (UPS) employees in Delaware. At the hearing, committee members questioned whether the proposed legislation could be effectively implemented and enforced. But Commissioner Cordrey conceded the state is powerless to enforce the current prohibition on the direct shipment of wine. “There are probably, currently, many illegal sales that occur and the enforcement division is hard-pressed to catch those people,” Commissioner Cordrey said. One of the committee members, State Rep. Mike Ramone (R-Newark/Pike Creek), sheepishly admitted to having inadvertently broken the statute by receiving a bottle of shipped wine before he was aware the act was illegal. “Assuming that the General Assembly were to pass a bill allowing the direct shipment of wine, this would be the bill that I think you would want to pass,” Commissioner Cordrey told the committee, noting House Bill 78 contains multiple safeguards that would allow state authorities to monitor and cross-check direct shipping activities. Under the measure, wineries wishing to ship their products to Delaware would need to obtain a license from the state. Carrier companies, like UPS and Federal Express, would also have to obtain a license to deliver wine. All wine shipments would need to be prominently marked and would require the signature of an adult at least 21-years-old for delivery. A carrier violating the requirement would be subject to fines and/or loss of their license. All state taxes and fees applicable to retail wine sales would be equally applicable to sales made via direct shipment. Speaking for the Small Business Leadership Council Retailers, Mihir R. Patel told the committee that Delaware liquor retailers oppose House Bill 78 because they fear it would lead to a loss of sales.